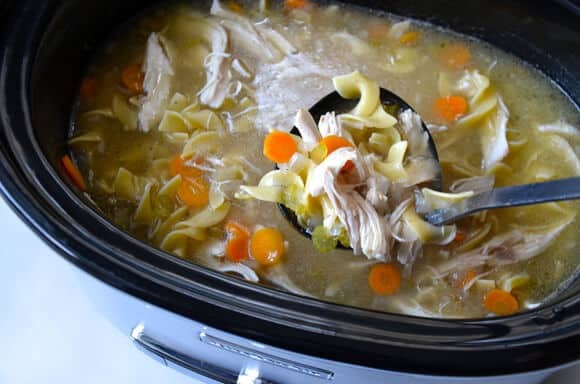 Slow cooker season is in full swing, so when my meal-in-a-bowl machine isn’t working overtime to crank out pulled pork tacos, shredded chicken, and yes, even applesauce, then it’s dedicating its super powers to my latest creation: Slow Cooker Chicken Noodle Soup. Fresh veggies, garlic and seasonings go for a swim, along with an entire roasting chicken, which is cooked low and slow to tender, juicy perfection. 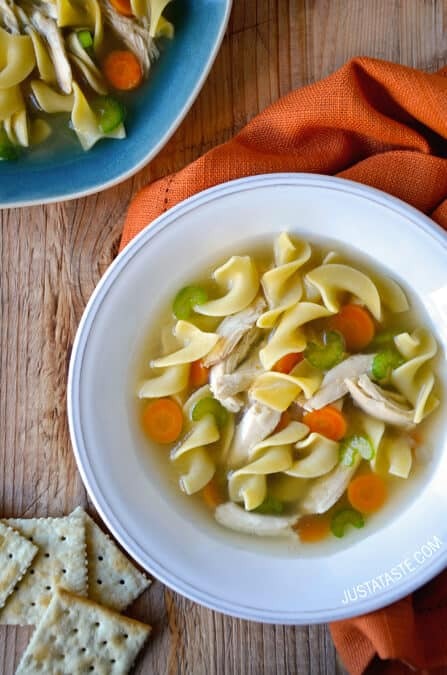 And to put the “noodle” in our chicken noodle soup, all that’s left to do is turn off the slow cooker, stir in your pasta of choice and let the rich, hot chicken broth work its magic. Simple, satisfying slow-cooked success. In a 6-quart slow cooker, combine the chicken broth, onions, carrots, celery, minced garlic, bay leaves, thyme, salt and pepper, stirring to combine. Rinse the chicken, trim any excess fat from the cavity and place it in the slow cooker. 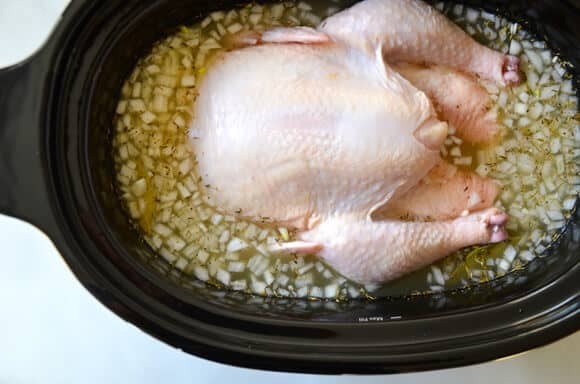 Cover the slow cooker and cook the chicken on LOW for 8 to 9 hours or on HIGH for 4 to 5 hours until the chicken is cooked throughout and has reached an internal temperature of 165ºF. 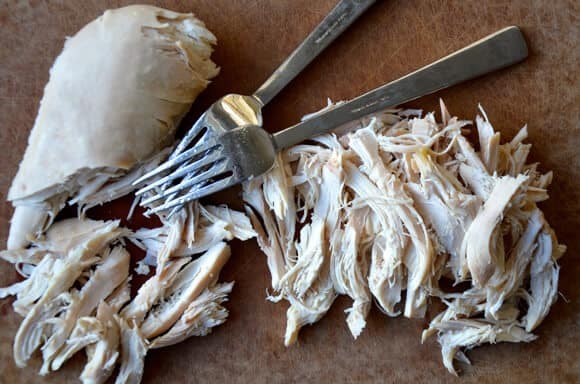 Transfer the chicken from the slow cooker to a cutting board. Remove the bay leaves from the slow cooker. Add the noodles, stirring to combine. Allow the noodles to cook just until al dente, about 20 minutes. 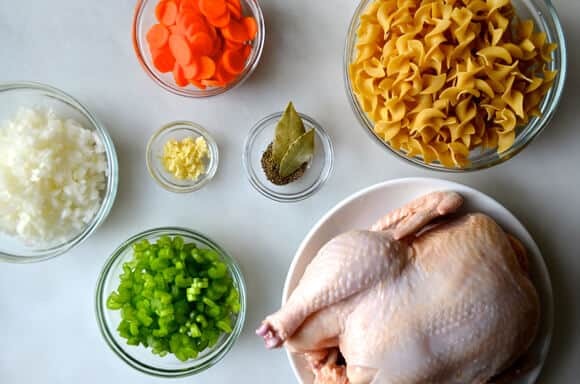 While the noodles cook, remove the skin, fat and bones from the chicken and shred the meat. Once the noodles are cooked, return the chicken to the slow cooker, stirring to combine. Taste and season with salt and pepper then serve. There are a variety of ways to skim the excess fat from the soup. If time permits, refrigerate the soup to allow the fat to congeal on top of the soup then simply scoop it off. 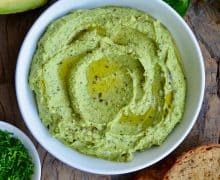 If you're serving the soup right away, allow the fat to collect on the top then skim it off with a spoon or place a paper towel lightly on top to soak up the fat.